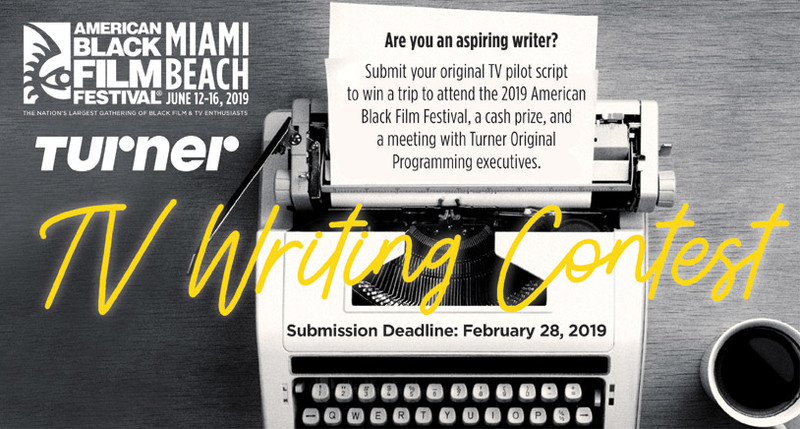 American Black Film Festival Turner TV Writing Contest designed to shine a spotlight on diverse writers who are invited to submit an original pilot script in comedy or drama categories. Together, Turner and ABFF will select five comedy finalists and five drama finalists, and one winner in each category will receive a trip for themselves and a guest to the 2019 American Black Film Festival in Miami from June 12-16, 2019, where they will receive an award before the festival audience which will include a cash prize, and the opportunity to meet with Turner Original Programming executives. Submit an original pilot script (drama or comedy) suitable for adaptation into a television program, and a one (1) page plot summary of the script. Note: drama scripts should be 55-60 pages in length and comedy scripts should be 30-35 pages in length.